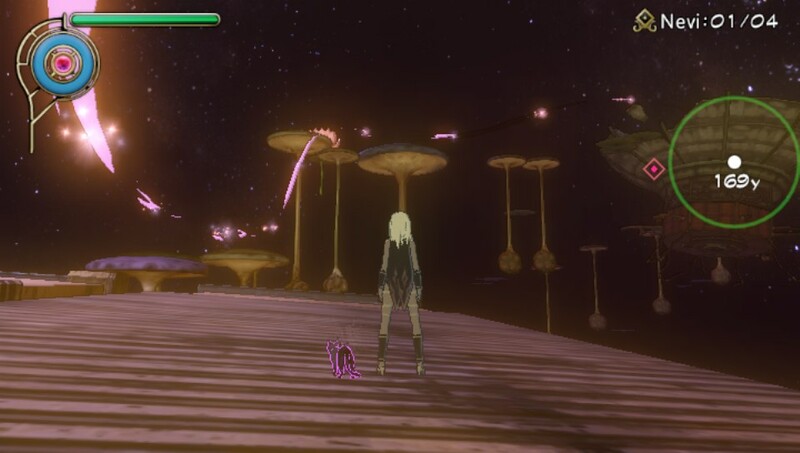 Gravity Rush is an open world adventure that features a heroine, Kat, who wakes from darkness into a strange world with no memories of her previous life. It is this central conceit, a fish out of water with no previous memories, that fuels the narrative. Kat soon discovers that she is able to shift Gravity (with the help of a friendly cosmic cat, Dusty) towards any desired direction or plane in her world and ‘fall’ towards it. The story is an intriguing mix of discovery, good vs evil and humour. Kat is a quirky character, who is initially unpopular amongst the frankly simplistic general population of the city she appears in. As she becomes more involved with the citizens of Hekseville and starts to deal with the problem of a plague of amorphous black and red blobs called the Nevi, she soon starts to gain favour. The Nevi feature quite predominantly in the game, in various forms, and are the basis for most of the combat. Throughout her adventure Kat meets people who will drop in and out of the story and give her missions which reveal more and more about Kat’s background. Some of these characters are essential to progress through the main story arc, especially the main antagonists, however there are other side missions which add detail and colour to Kat and her world and are thoroughly recommended undertaking. It is very enjoyable having the plot revealed slowly throughout the game and cleverly adheres to the old ‘show, don’t tell’ rule of story writing. There is no dialogue as such, although Kat sometimes squeaks in the clichéd girly manga style so often used, most interactions and plot are shown in comic book style panels which you progress by tapping on each pane. Moving and tipping the Vita actually adjusts the angle of view of the panels in ‘3D’ allowing you to peek behind details in the background. It’s a lovely little feature which proves to be a better way to read comics than the now defunct PSP Comic store ever was. The only criticism is that you are unable to go back a panel if you accidentally touch the screen, missing parts of the story, which seems a strange oversight. The main story is about 10-12 hours long, 16 if you include all the side missions and extras. A pretty amazing feat for a hand held game of this quality. The ending can appear somewhat abrupt, and will also split opinion, but overall the journey to get there is so much fun, it would seem churlish to complain. This is a beautiful game, which acts as a fantastic showcase for the Vita. The hand-drawn, cel-shaded style of the visuals are perfectly matched to the subject matter. The design of the architecture and landscape is reminiscent of the Bioshock games and the artwork of Jean Giraud Moebius and, although it could be described as Steampunk, this is not overtly done. The character models are interesting, although a lot of the NPCs are cloned off quite a lot, but keeping them faceless and nameless fits quite well with the plot. Draw distance is not massive, and this is probably caused by the limitations of a mobile processor. However this is dealt with cleverly by making objects in the distance more washed out and sketchy rather than just popping in and out of existence. The variety of environments is satisfying and interesting and keeps the player guessing what they’re going to see next. In terms of quality, anti-aliasing is not as sharp as other Vita games such as Golden Abyss, but it really doesn’t matter, as the world is so interesting and vivid to experience. The Game menus are gorgeous and fit the unusual style of the game well, again matching the comic book style. The in-game map is also attractive and unique and works well with the touch screen. Being able to zoom in and out with a pinch, iOS-style is intuitive, however some of the map icons seem somewhat redundant and remained relatively unused. Overall the use of the pared down colour palette is a matter of taste, but it does work and looks stunning on the Vita’s OLED screen. 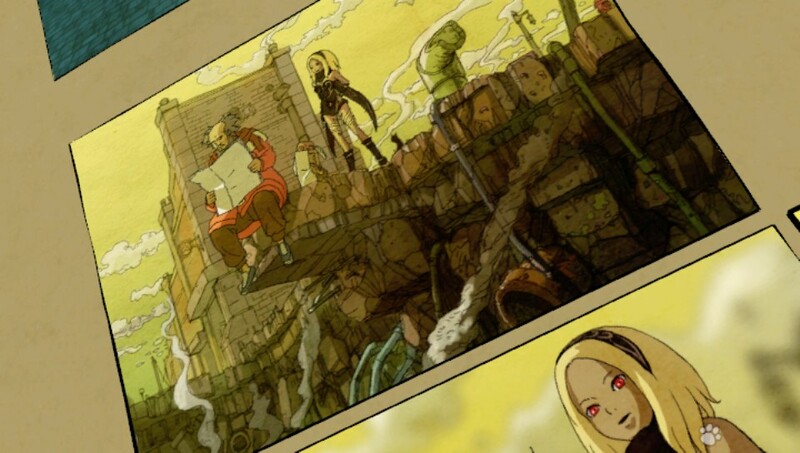 Opinion is split about gameplay in Gravity Rush. It is definitely not perfect, but it is more a matter of how you deal with the minor foibles. In terms of wandering around the open world, this is a dream. you simply tilt the Vita, or use your right stick to point towards any direction, pressing the right shoulder button and Kat will ‘fall’ towards it. This is not flying as such, as Kat’s animations as she scoots through the sky show her flipping and turning out of control. She can ‘fall’ from any height without harming herself, as part of her ability is an invulnerabilty to damage when dropping from vast distances. It is easy to get lost in the wonder of just blasting around the environment and exploring the landscape. Be careful where you do this, though, as you can accidentally take innocent standers-by with you in your gravity field. There are some pretty comedic sounds of indignation as they get sucked up in the wake of your gravity shift. You are limited to how often you can shift as you have a gauge which drops as you fly around. Without giving too much away, the city is perched above a great drop, gas-city style and you do have to keep an eye on where you are flying to ensure you don’t end up in dire straits. Part of this is pure fun, but also exploring does serve a purpose. Dotted around the environment are collectible crystals which serve as the main token based economy for levelling up your abilities. As you progress through the game you discover that shifting is not the only thing you can do. 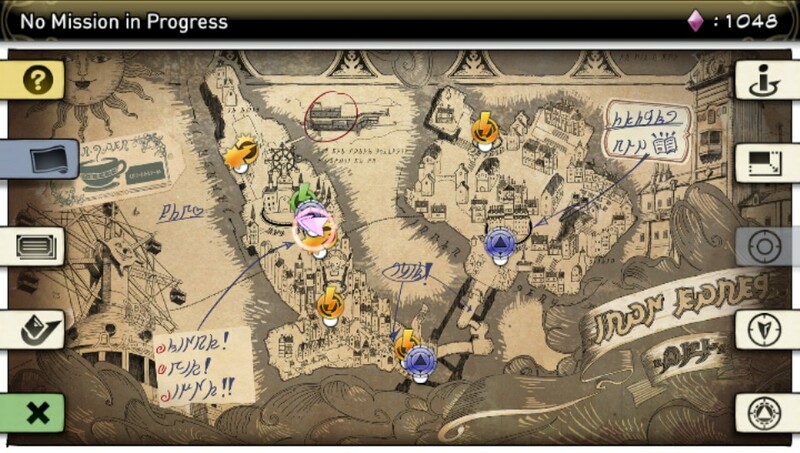 As mentioned before you have a map which gives you an overview of the city and you can view different markers which indicate main story missions, side missions and challenges. The markers can be set as sat-nav points and will help you navigate around the world. The challenges form part of the online aspect of the game, with associated leader boards, where you practise perfecting your abilities and compare scores with your friends. It’s a welcome addition that adds replayability to the game, but the difficulty curve is quite high on these, so you will need to practise a lot. Combat is the main bugbear of this game, depending on your point of view. To fight the Nevi you either swipe over the screen to flip and evade or you can aim your shift reticule at the creatures and press the square button to fly towards it and kick it. You have to aim at the Nevi’s weak points, the classic glowing red orbs, to kill the creatures. This is touch and go, and you do miss-aim frequently, flying straight past the enemies. There has been a lot of criticism about the combat in the game, however, as you play your skills increase and the combat does become second nature. The challenge of finding different ways to take out the Nevi and the associated bosses adds to the gameplay and if combat was too easy it could become repetitive and tiresome. In this case, you need to play yourself to make up your own mind. Overall the variety of gameplay is well designed, with different mini-games woven into the main plot to maintain interest. One minor gripe is that load times are quite long, a symptom of the Vita system in general, so if you plan to play on the bus, it’s best to leave the game on stand-by. The control system does well to integrate all aspects of the Vita’s sensory inputs. There’s no overuse of gimmicks in terms of touch input, and it does showcase the Vita’s abilities very well without insulting the gamer. You don’t find yourself in a contortionate embrace of the device when controlling Kat, and the touch controls endear themselves without taking you out of the game. You have an option when directing your shifting power to tilt the Vita or use the right stick. Personally I used the stick option but sometimes the tilt function came into use in specific situations. Kat can also ‘gravity slide’ along surfaces, and you control this by touching the screen with two fingers, steer by tilting the Vita and jump by shaking. The sensitivity is well defined, without being too twitchy, better than the tilt controls in Wipeout 2048, but it’s not a mechanic you use too often. You can of course run around the world, again on any surface at any angle and sometimes it’s nice to just stand, look around and watch the world go by. Some of the camera angles can be confusing, mainly because the view of the world tilts so that ‘down’ is always relative to Kat, but you are given little clues as to where ‘real down’ is by the way that Kat’s hair and clothes hang. Overall the controls are not perfect, but do the job relatively well. The orchestral score in-game is beautiful and adds atmosphere. Each different environment has its own soundtrack and works well. Due to the lack of dialogue, the world does seem very calm and serene. Hearing the sounds of birds, the murmur of undefined voices and the honking of the floating dirigibles overhead, it is all rather lovely. It all hangs together very well and credit should be given to the sound designers. The game soundtrack is already available on import from Japan and will probably be available at some point on the PSN store, which is a good indication of the quality of the sound arrangements. This is beautiful, vast, enjoyable game, with quirky characters and fun gameplay. There are a few problems with combat and the controls could seem daunting to the novice gamer, but the experience is so exhilarating and the story so interesting that the positives outweigh the negatives. It is the first Vita game to take me away consistently from my PS3 as the primary choice of game-playing platform. If you’re a fan of the Manga art style and all things Japanese, but with a western twist this is a must buy, even if Anime doesn’t float your boat, this game is definitely a valued addition to your Vita library. I must play this game! But first, I must get a larger memory card! Many thanks for your comment. Glad you’re enjoying the game. Was it a PS+ download or did you buy it before?